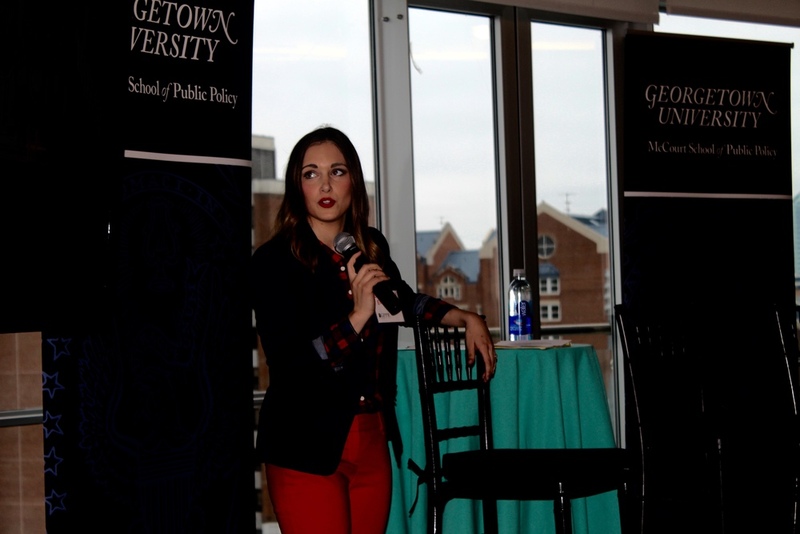 the Georgetown Public Policy Review Spring Debut took place on Friday, April 29th at Fisher Colloquium at Georgetown University. With an estimated 2.5 billion millennials worldwide, the footprint of the first global generation is taking shape. But, what is the face of a post-millennial nation, characterized by a maturing millennial generation ripe with digital nativity? What are the problems, prospects, and implications of an aging Baby-Boomer cohort, a volatile economic landscape, new-age foreign threats, progressive social movements, and a global network that makes country borders all but obsolete? More, how can we best prepare for and solve post-millennial challenges using the array of modern technology and big data at our disposal? We discussed these questions, and more, with our panelists: Jon Stanton, Jon Schwabish, and Sarah Kliff. Pictures from the event can be found below. 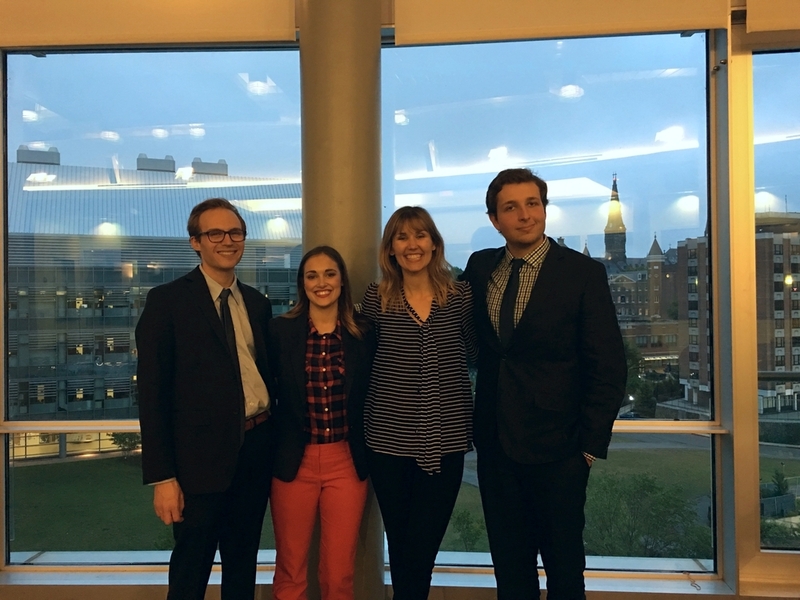 We celebrated the digital debut of the annual Spring Edition on Friday April 29th, and further explored this year's theme Post-Millennial. Our launch event featured a panel and Q&A to tackle our topic, pairing experts on post-millennial policy topics with those on big data and media, to explore how we can best use technology and data science to tell stories and solve policy problems in unprecedented ways. John Stanton is the Washington, D.C. bureau chief for BuzzFeed News. In 2014, Stanton was a recipient of the National Press Foundation’s 2014 Dirksen Award for distinguished reporting of Congress. He was also a former fellow for Georgetown's Institute of Politics and Public Service. Jonathan Schwabish is the founder and host of PolicyViz. He is also a Senior Research Associate in The Urban Institute’s Income and Benefits Policy Center. His economics research focuses on earnings and income inequality, disability insurance, and retirement security. A member of the Institute’s Communication team, Schwabish specializes in data visualization and presentation design and was named a “visualization thought leader” by AllAnalytics in 2012. Prior to working at the Urban Institute, Schwabish spent 9 years as a Principal Analyst at the Congressional Budget Office. Sarah Kliff is a senior editor at Vox.com, and co-host of Vox's "The Weeds" podcast with Ezra Klein and Matt Yglesias. Sarah joined Vox Media in 2014 from the Washington Post, where she was a founding member of Wonkblog, a policy blog dedicated to making complex policy topics easily approachable and understandable. A former staff writer for Politico, Kliff's work has appeared in Newsweek, National Geographic, the BBC and was cited in the 2012 Supreme Court decision upholding the Affordable Care Act. A cocktail reception, with wine, beer, and hors d'oeuvres, will follow our featured panel, Q&A, and staff presentation.